Dr. Jaws is a hybridist author who combines art, science, philosophy, and ocean lore into an exhilaratingly novel approach towards one of the sea’s living masterworks: the shark. 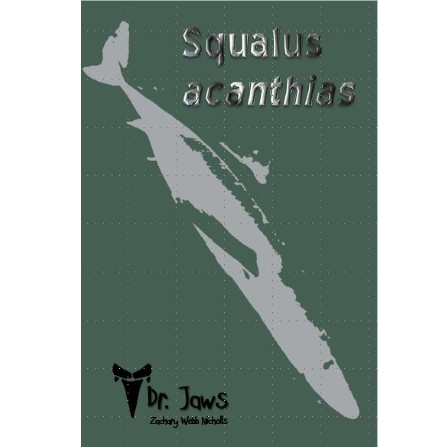 Squalus acanthias relates the biology and essence of the Piked Dogfishk: a once abundant species that is perhaps the most well studied shark on the planet. Included is the mysterious fable of Dark Moon Isle: a negative complement to the lighter tale in Mustelus canis.